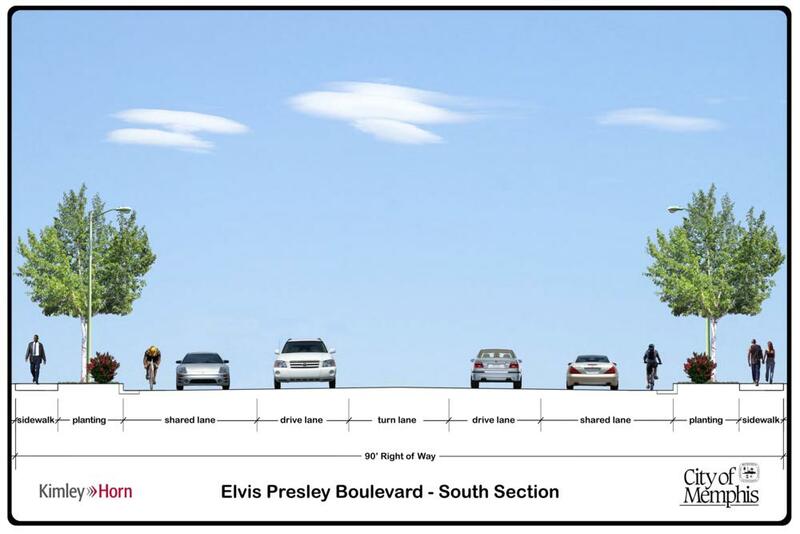 Construction will begin on the North Segment (from Winchester Road to Commercial Parkway) on March 27, 2019, and is planned to last until September 2020. The initial phase of work will be on the east side of the roadway, impacting northbound traffic. 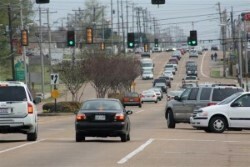 Traffic will be reduced to two lanes in each direction for the entire construction period. All business along the corridor will remain open and accessible at all times. All of the Right-of-Way and easements needed for the North Segment (from Winchester Road to Commercial Parkway) have been completed. 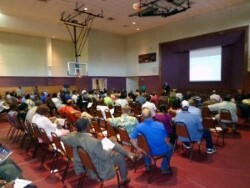 TDOT is currently reviewing the acquisition records to certify the process. The completion of this phase marks a major milestone for the project. After TDOT certifies the Right-of-Way, the North Segment will move into the construction bidding process in early 2018. Construction should begin soon after, probably in the early spring. The Right-of-Way acquisition process is still underway on the north segment. The project team is currently performing appraisals (and independent review appraisals to confirm values) and working with each property owner to acquire the permanent Right of Way and temporary easements that are necessary to begin construction. This is one of the most time-consuming phases of the work, but it is also critically important that it be done right to ensure that all impacted property owners are properly compensated. In the meantime, work is continuing on the other project segments. 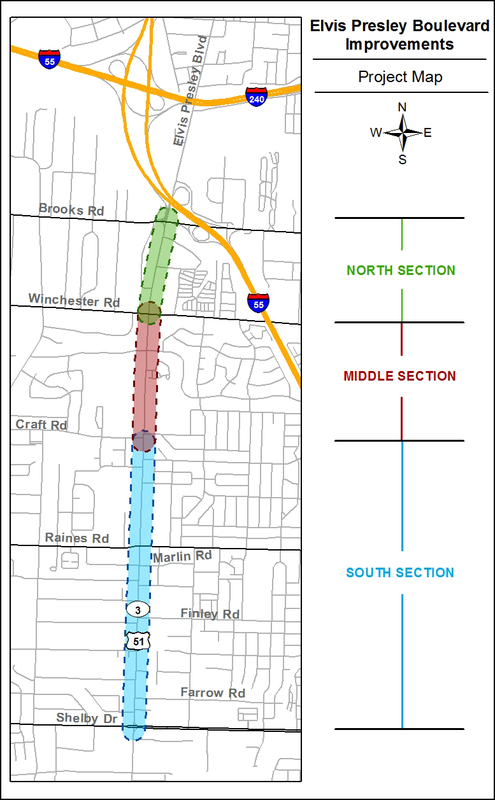 The design plans for the Middle Segment (From Craft Road to Winchester Road) are 90% complete, and the plans for the South Segment (From Shelby Drive to Craft Road) are roughly 60% complete. 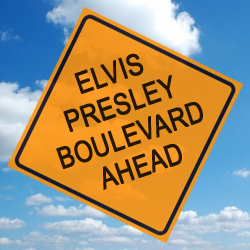 Elvis Presley Boulevard (State Route 3/US 51) serves as both a gateway to an important tourist attraction, Graceland, as well as the major commercial corridor for residents of the Whitehaven community. Commercial decline, with increased vacancies and neglect, has resulted in an increase in crime and a deteriorated appearance along a corridor intended to welcome visitors to both Graceland and the City of Memphis. 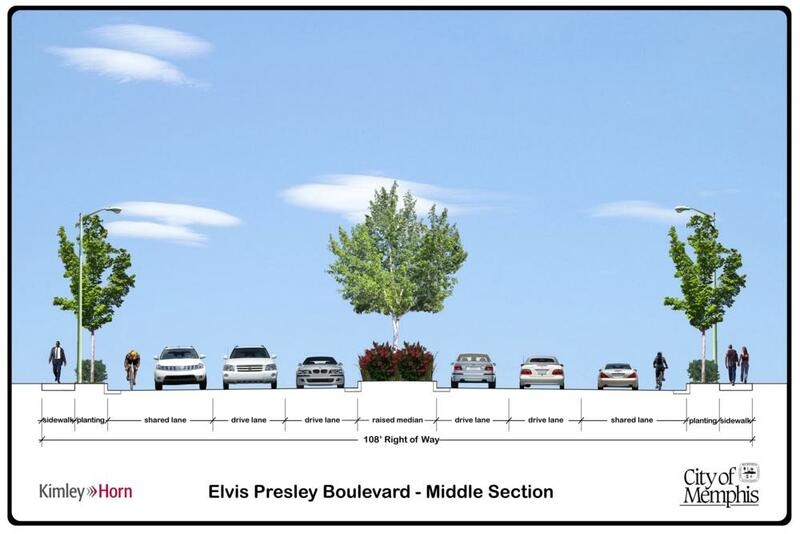 A variety of economic development plans prepared by local residents, the City and Elvis Presley Enterprises, Inc. (the company managing Graceland and related attractions) call for improvements along the corridor to spur redevelopment and create a more appropriate and welcoming gateway entrance to Graceland and the City. Due to the age of the roadway and the heavy levels of truck traffic, the road condition has deteriorated, creating safety issues in the area. 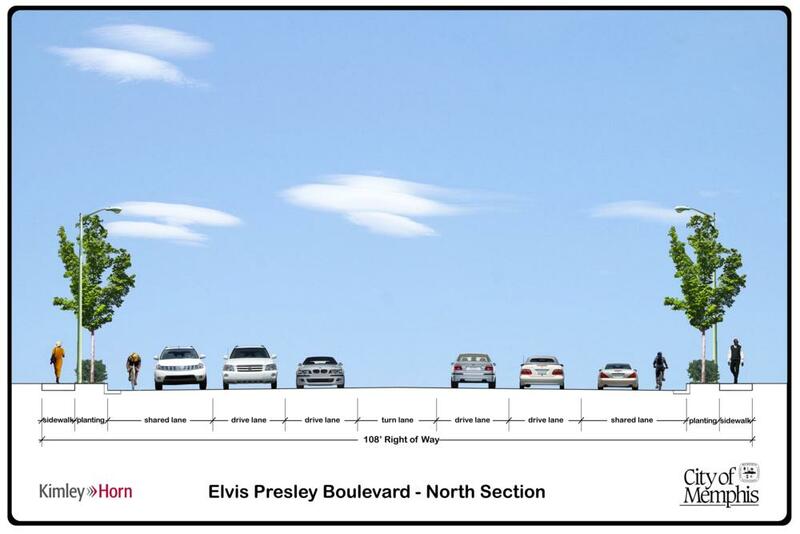 Additionally, the high levels of pedestrian traffic associated with Graceland and the lack of both pedestrian-friendly crossings and continuous sidewalks create an unwelcoming and potentially unsafe environment for tourists and other pedestrians moving through the corridor. These will substantially improve the operational, functional, and aesthetic characteristics of the roadway. City of Memphis | All rights reserved.